Sundial at Forest Hill Cemetery. I love the light you captured. Did you produce that light effect in post processing ? Its goog. I did mean good....its a bit early here ! 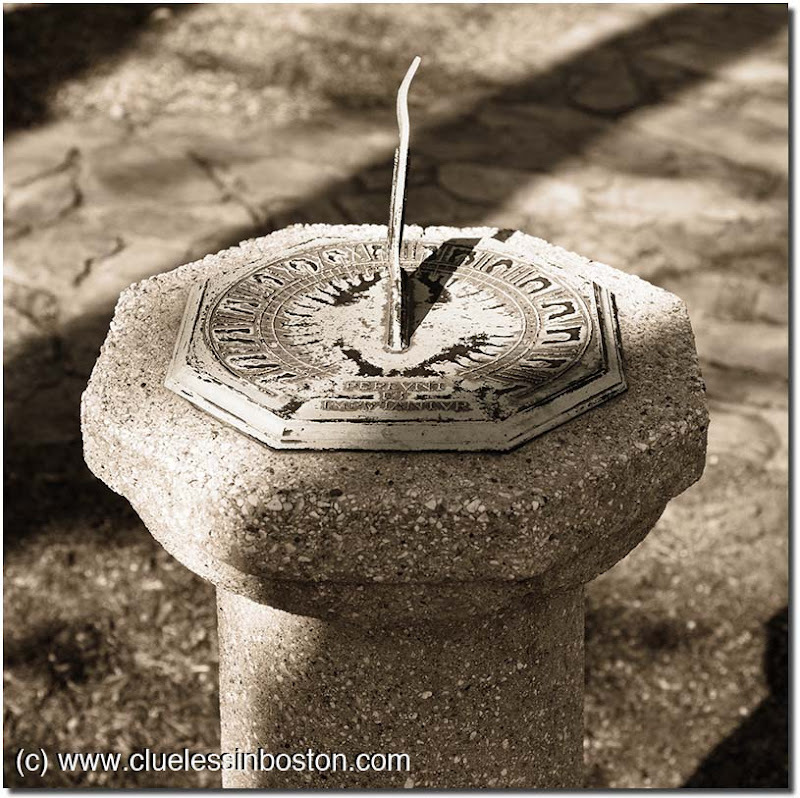 What a lovely photo and a beautiful sundial. I love that it is in a cemetary, it is a fitting tribute to the passing of time and I imagine the person was much loved. One of those days where a sun-dial works. There are so many interesting places at Forest Hills Cemetery. I can't help wondering why there's a sundial in a cemetery?..You captured nice textures here. Hmm. What time was it? How does one read it? Fun subject.